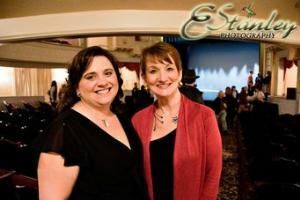 Enchanted Events of Maine is a destination management and special event service provider in the Midcoast area. We provide event management services for individuals, groups and organizations by providing one-stop-shopping for clients seeking the highest possible level of customer service. Our mission is to plan and direct events that are unique and special. We strive to make your event memorable for you and all your guests. Most importantly, we work very hard to keep you stress-free and make the planning enjoyable. We are intimately familiar with Midcoast Maine and have the contacts, resources and local influence to accomplish your goals, while providing your guests with an exceptional experience. We offer the best of the area's event planning and management resources, which allows us to develop cost effective events quickly and flawlessly. Count on us to produce corporate meetings, weddings, awards banquets, trade show booths, fundraisers, themed events, or just a private party. Our vast experience in special event planning, production and coordination ensures that each special occasion is an outstanding success. Whether you're looking for something simple and contemporary or opulent and classic, we will plan a special event thaat will surpass your expectations. Together, we have created magnificent galas, fundraisers and stellar special events in the Midcoast area. We hope to work with you so you can be a guest at your special event.